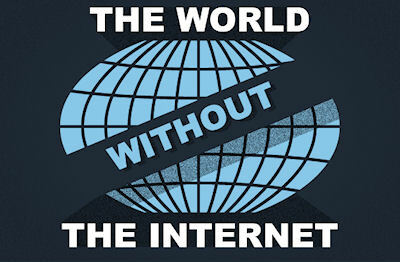 Can you imagine, the world without the Internet? Uh, yeah because I lived in a world without the internet for most of my life. See above. I enjoy the convenience provided by the internet, but it's not a "better replacement for everything!" One example: reference books have to be rigorously fact-checked by qualified experts before they're printed. When Wikipedia first came out, their big draw was "anyone can edit!" I'd guess a higher percentage of internet use is spent for pr0n, spam and LOL cats than it is for organizing much needed revolutions.